The 2016 Aon Youth Sailing World Championship came to a close in Auckland this week, where over 380 sailors from 65 nations sailed in more than 260 boats across nine disciplines competed. New Zealand fielded a 13-strong team at the event regarded as the pinnacle youth sailing and picked up a bronze medal in the 29er Girls skiff class through Kiwi sisters Kate and Greta Stewart. Israelis Ido Bilik and Ofek Shalgi won silver in the boys 420 Class and another silver was won by Katy Spychakov in the girls RX:S. However, it was Yoav Omer taking first place in the boys RS:X event which set Hatikva playing in Auckland. Omer is considered one of the future stars of Olympic sports for Israel. He has won two youth world titles and finished fourth in a senior World Cup event over the past month in addition to his gold in Auckland. Windsurfing has had its fair share of controversy regarding Israel in the recent past. 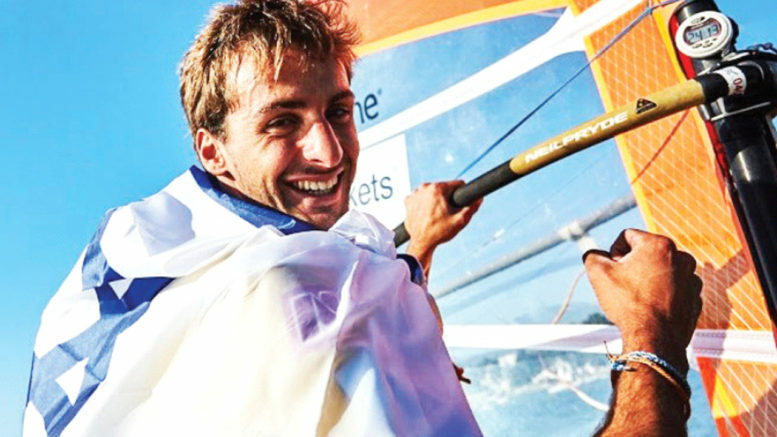 Israeli sailors, including Yoav Omer, were not able to compete in the 2015 Youth Sailing World Championships in Malaysia. They were refused entry visas for what were described by the Malaysian Minister of Sport and Youth as political reasons. Yachting New Zealand showed great leadership in opposing the Malaysian position, and it is pleasing to see the staging of a successful event without political interference.